Media agencies argue that current terms of trade, including fees and payment terms, are unfair but procurement executives believe they are positive. 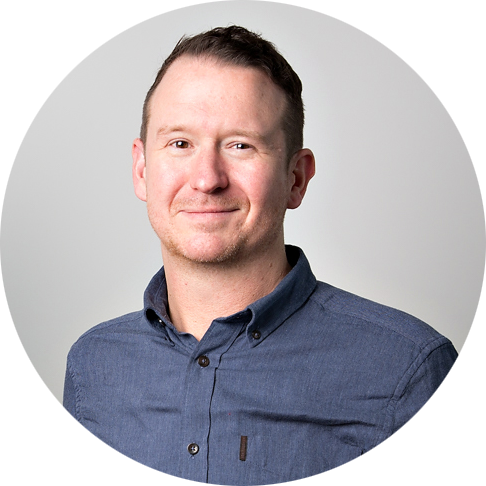 Advertisers and their agencies are heading in opposite directions when it comes to working out how terms of business can be constructed to ensure they are mutually beneficial, according to a new report from media change consultants ID Comms. 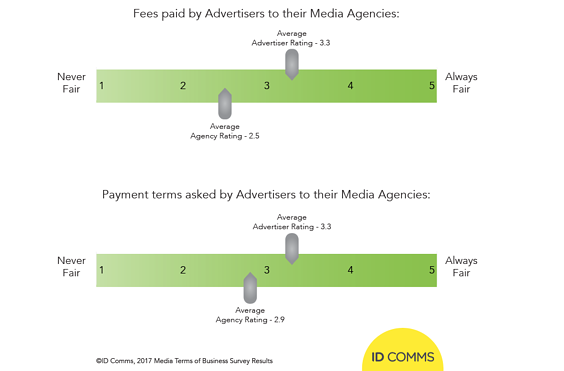 The findings of the 2017 Global Media Terms Survey reveal that agencies are still regarded with suspicion by advertisers, a number of whom think non-transparent incomes make it harder to use tools such as fees and terms of trade to incentivise agencies to behave. The report, which is based on responses from senior executives at both advertisers and agencies, shows that parties on both sides of the divide are likely to regard current terms of trade as being less than mutually beneficial. This is despite the fact that 80% of respondents agreed or strongly agreed with the statement that: “media agencies incentivised by fair terms of business with their client will be more transparent and more aligned to their client’s business outcomes”. However, there is a difference of views over what plays the most important role in aligning agency behaviour with client goals. Advertisers in both procurement and marketing/media roles believe the most influential factor in agency alignment and transparency is contract terms (scoring 4.5 and 4.6 respectively, where 1 is not influential and 5 is critical). However, agency respondents believe the Scope of Work is the most important (4.4) factor in driving more aligned behaviour. Respondents generally agreed that Payment Terms (the time between the agency issuing the invoice and the advertiser paying the bill) is the least influential factor. The findings are based on answers from 102 respondents including senior marketers and procurement executives from companies with combined annual media budgets of more than $20bn. Agency respondents included all major media agency holding groups as well as some independent media agencies. Respondents also differed about how mutually beneficial key elements of current practice were. Fees were rated overall as unfair while overall payment terms were rated as more fair than unfair by all participants. There was, however, a clear split between procurement and agency representatives with agency representatives rating both fees and payment terms at 2.6 – where 1 is never fair and 5 is always fair. However, procurement specialists suggested that current practice should score 3.5, ranking them as more mutually beneficial than disadvantageous to either party. The survey also highlighted continuing scepticism around transparency with some advertiser respondents believing that agency and particularly holding company behaviour is more deeply embedded and won’t be changed by terms of business alone. “Fees are not as important, media agencies will continue to want to maximise revenues in a non-transparent way regardless”,” said one advertiser respondent. “A clear scope of work, fairness in fees and payment terms and a great contract that protects both sides are the must-have tools for aligning agencies with advertisers and creating a productive, trusting working relationship. However, it’s clear from these results that there remains a huge variety of opinions on what should drive these beneficial behaviours and the other factors that might be in play,” said Tom Denford, Chief Strategy Officer at ID Comms. No extended payment terms: 52% of respondents believe 0-30 days payment terms on agency fees is the fairest solution. Respondents perceived the fairest payment terms on media inventory to be 0-30 days (35%) or matched to vendor terms (32%). Fee’s fair: The payment model that is perceived as fairest is Fee Only or Fee + Bonus, which was supported by 30% of respondents. The next highest scoring model is value/performance based at 21%, followed by hybrid commission and fee at 18%. A return to commission-only payment is supported by just 3% of respondents. Future’s gloomy: 41% of respondents think it is unlikely that terms of business between advertisers and media agencies will become fairer overall in the next 12 months. Eighteen per cent of advertiser respondents believe fairness of terms of business will improve but just 3% of agency respondents believe that things will get better. The ID Comms 2017 Global Media Terms of Business Survey is the fifth in a series of ID Comms investigations into the seven critical media behaviours of successful marketers. ID Comms conducted this research between 2nd May and 19th May 2017, and received 102 responses. The respondents were comprised of Marketing, Media and Procurement professionals with a range of global, regional and local market responsibilities. 71% were Europe-based, 22% were from the US and Canada and the remainder representing the rest of the world. Respondents to this survey represent a wide variety of brands in diverse categories including telecommunications, pharmaceutical, food and drink, technology, insurance, fashion, jewellery, automotive, luxury and entertainment, with a combined global media investment in excess of $20 billion. All major media agency holding-groups and some independent media agencies were represented by the participants of this survey. Findings of the ID Comms 2017 Global Media Thinking Survey were covered in Warc, Digital Market Asia, MediaPost , PuroMarketing, Merca 2.0, Marketing Interactive, More About Advertising, Digiday UK and BrandKnew.